A Banyan (also Banian) is a fig that starts its life as an epiphyte (a plant growing on another plant) when its seeds germinate in the cracks and crevices on a host tree (or on structures like buildings and bridges). "Banyan" often refers specifically to the Indian banyan or Ficus benghalensis, which is the national tree of the Republic of India, though the term has been generalized to include all figs that share a characteristic life cycle, and systematically to refer to the subgenus Urostigma. Like other fig species (including the common edible fig Ficus carica), banyans bear multiple fruit in structures called syncarps. The Ficus syncarp supplies shelter and food for fig wasps and in turn, the trees are dependent on the fig wasps for pollination. The seeds of banyans are dispersed by fruit-eating birds. 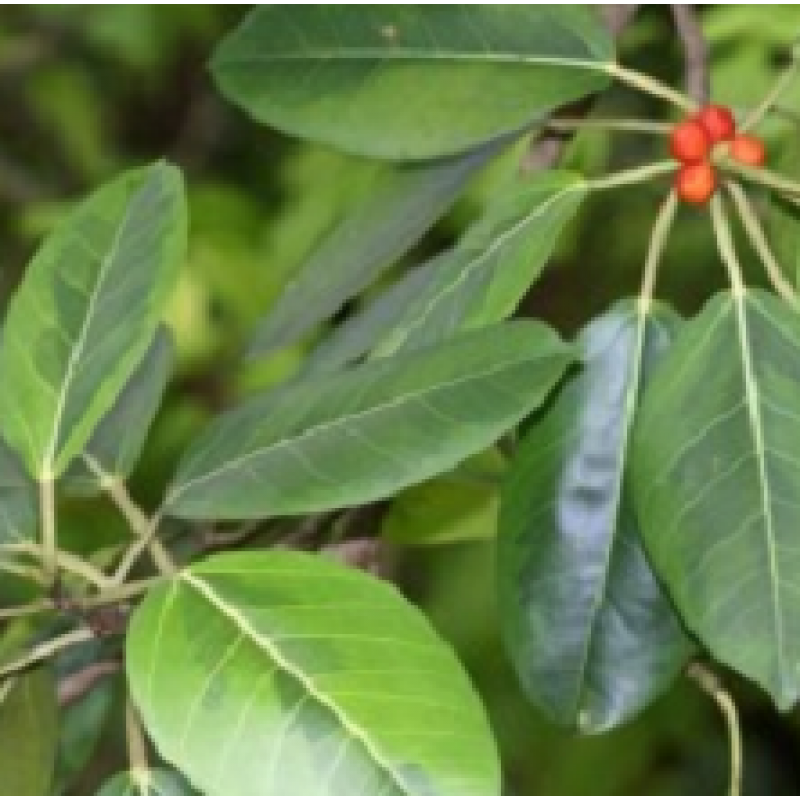 The seeds are small, and most banyans grow in forests, so that a plant germinating from a seed that lands on the ground is unlikely to survive. However, many seeds land on branches and stems of trees or on buildings. When those seeds germinate they send roots down towards the ground, and may envelop part of the host tree or building structure, giving banyans the casual name of "strangler fig". The "strangling" growth habit is found in a number of tropical forest species, particularly of the genus Ficus, that compete for light. Any Ficus species showing this habit may be termed a strangler fig. Older banyan trees are characterized by their aerial prop roots that grow into thick woody trunks which, with age, can become indistinguishable from the main trunk. Old trees can spread out laterally, using these prop roots to cover a wide area. In some species the effect is for the props to develop into a sort of forest covering a considerable area, every trunk connected directly or indirectly to the central trunk. The topology of this structure of interconnection inspired the name of the hierarchical computer network operating system Banyan VINES. In the Bhagavat Gita Krishna said "There is a banyan tree which has its roots upward and its branches down, and the Vedic hymns are its leaves. One who knows this tree is the knower of the Vedas." (Bg 15.1) Here the material world is described as a tree whose roots are upwards and branches are below. We have experience of a tree whose roots are upward: if one stands on the bank of a river or any reservoir of water, he can see that the trees reflected in the water are upside down. The branches go downward and the roots upward. Similarly, this material world is a reflection of the spiritual world. The material world is but a shadow of reality. In the shadow there is no reality or substantiality, but from the shadow we can understand that there is substance and reality.